The horizon of development is endless. Specifically, for few segments, like e-commerce, the demand is dynamic, the customers are expecting more, the backend challenges are asking for a revamp and more. For users, the process may seem smooth but the people managing the e-commerce site and store, understand the challenges in the background. f) Payment in and out problems etc. To get through the challenges and maintain a healthy relationship with customers and clients, e-commerce sites need an upgrade. However, an upgrade in a running business is a tricky and risk-taking task. It can adversely affect the currently running site and hamper the customer’s interaction with the site. Thus, one needs to be very careful with the upgrade process. To run an eCommerce store, one should ensure its security and keep the site up to date. To do so, the e-commerce site owner should always look out for the latest Magento version and update the site immediately. Let’s move to the section where we define on 3 major considerations which would help you decide if you need an upgrade of your e-commerce platform to Magento. Before moving towards Magento upgrade on your e-commerce site, it’s first important to realize that whether the upgrade aligns with your business goals or not. 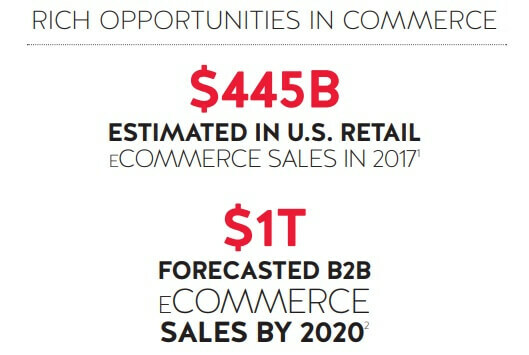 This is important because it’s the business goals that had kept the path clear and goal oriented for an e-commerce site. Without any business goals, it would simply go nutcase and forget the purpose of business. · Market needs as per demography, geography, climatic conditions etc. While the market survey is important, audience survey is equally important. The target market is different from target customers. It’s the audience that is going to be involved with the buy and sell. Thus, e-commerce applications need to make sure that the upgrade does not hamper the shopping experience of the target audience. For the same, you need to work with your mobile app development company to ensure that they understand your consumer preferences and does not interrupt the users’ journey while upgrading. In the process of growing your e-commerce business, there comes a time when you start realizing that the site is no longer performing the way it used to earlier. It is so because due to the excessive inflow of visitors on site, demands, purchases, outflow, the site becomes slow and non-performing. a) Page load: With more and more users coming up on site, there are changes of slow loading of pages. It is estimated that users don’t stay long on site if the page loads take time more than usual. Magento upgrade eradicates this issue easily. b) Slow site speed: Since the reachability has increased in recent time due to the proliferation of mobile phones, e-commerce site usually faces the challenge of slow site speed. This hampers user experience and turns off their interest in ever coming back to site for shopping. It’s important to look at aspects like navigation, code, resources, URL structure etc. to ensure that the site loads immediately and instantly. Any business may not flourish if they stick to the same set of rules, development, trends that was created at the time of establishment of the business. With time, it’s important to keep up with the development pace and users’ expectations. This not only attracts users to be a regular one on the site but also invite profits and success in the business. The era today is the mobile era. People are more on mobile than they ever were. All the transactions like banking, traveling, connectivity, purchasing is completed on mobile than on desktops. Thus, e-commerce sites too have taken a chance on mobile and have emerged remarkably. Fact alert: As per the study by the Internet Retailer, it is estimated that 60% of online retailers will be switching platforms in the next 1-2 years due to the increase in the usage of mobile. To sum up the blog, it is evident that development is the future of success. eCommerce is one such business that has their daily dose of user interactions. To keep up the pace of profit and success, they need to upscale their site every then and now to be in the game in the competitive market. And Magento upgrade is exactly what they need to conquer.